The nano facility is the first major building added to the Sabanci University campus since its completion. 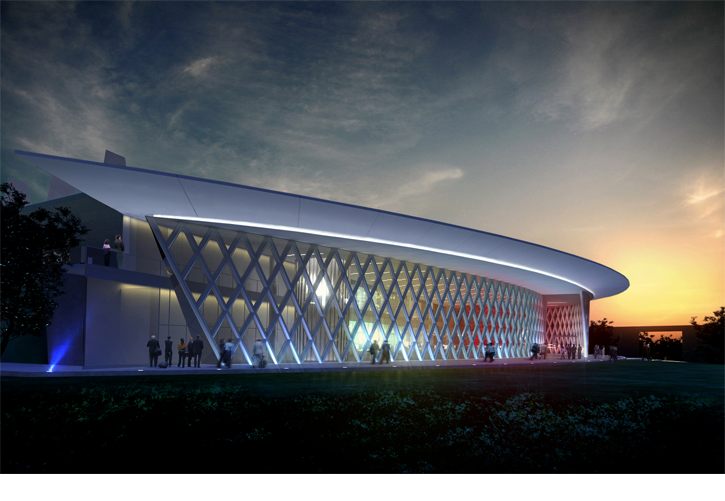 Harry Warren directed the design to blend the campus architecture and an expression of technology to signify its place as public-private partnership for the study of nano systems and their application to industry. The building spaces are organized with an open light filled office complex surrounding a closed research block and clean research core. The intricate concrete curtain wall system is designed to express the complexity and intricacy of the research within. The office spaces face south and are shaded by a 30 foot overhanging roof. This project won an AIA Chapter Design Award.